For many women, breast cancer is a bad guy lurking just around the corner. My grandmother had it; my mom had it; both of my husband’s grandmothers succumbed to it. I look at my young daughters and worry that, with such a strong family history, they will have to live through it too. It’s easy to feel like we are just passively waiting for our bodies to turn against us. But living in fear is harmful in and of itself. Fortunately, we know a lot about breast cancer and we know a lot about what it likes—that gives us real, tangible tools to reduce our risk of developing it in the future. Many of the risk factors and protective factors for breast cancer are things that are difficult or impossible to change—like when we start our periods, how many babies we have and our family history. But there are some simple changes that we can make from day to day that help our bodies be more resilient against cancer. We all know that drinking too much alcohol is bad for us, but how much is too much, and what’s a healthy amount? The evidence tells us that when it comes to breast cancer, every additional drink increases your risk: light alcohol intake increases your risk a bit, heavy alcohol intake increases it a bit more. This is especially important for women who are taking hormones to reduce their menopausal symptoms. Get creative: what other kinds of drinks can you wind down with? Try an herbal tea; my favorite is a combination of milky oat tops, lavender and chamomile. Kombucha has sparkle and that yeasty fermented flavor. Flavored sparkling water is delicious and inexpensive. For a lot of people, getting regular exercise sounds like an ordeal because they think they have to join a gym. Not at all! Exercise means moving your body. It can be going to the gym, but it can also be gardening, dancing, yoga, group fitness classes, walking, hiking, cycling or riding horses. 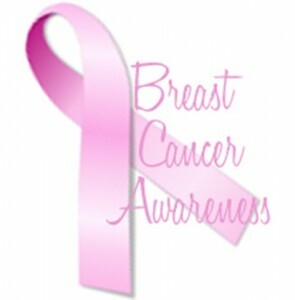 Regular physical activity is a protective factor for breast cancer. In very active women, risk is reduced an average of 25 percent, but even less activity is helpful: one study showed a risk reduction of 18 percent in women who walk briskly a couple hours a week—that’s as simple as a 30-45 minute walk 3-5 days a week. Vitamin D is a nutrient made in our bodies when we expose our skin to the sun. Since we all spend a lot of time indoors, it’s really common to be deficient in vitamin D. Postmenopausal women with low vitamin D can decrease their breast cancer risk by supplementing. The test is a simple blood draw, any doc can order it, and supplementing is super easy. In 2012 the Shanghai Breast Cancer Survival Study released findings that breast cancer survivors with diets high in cruciferous vegetables had lower risk of mortality and recurrence. Other studies have found these veggies to be protective against bladder, stomach and lung cancer. Cruciferous vegetables, also called brassicas, include broccoli, Brussels sprouts, cabbage, kale, cauliflower, turnips and bok choy. Researchers suggest that women increase their intake of brassicas and eat a wide variety. Stumped for recipes? Try this lemon-balsamic broccoli, or this shredded turnip, carrot, and apple salad, or this kale pesto. Soy contains compounds that are shaped like our estrogens, which means they can interact with our estrogen receptors. There is good evidence that eating traditional soy foods (NOT soy supplements, extracts, powders, etc.) decreases women’s risk of mortality and recurrence of breast cancer and is associated with a lower risk of getting it in the first place. Good choices for traditional soy foods include: tofu, tempeh, edamame and miso. Be sure to buy organic, or at least non-GMO. Here are some tips for cooking tofu, or try this great recipe for miso soup. Nelson R. Cruciferous veggies boost survival in breast cancer patients. Medscape website. http://www.medscape.com/viewarticle/761792. Published April 10, 2012. Accessed February 21, 2017. Hassell M. Breast cancer prevention and survivorship: evidence-based nutrition and lifestyle choices. Presented at: Legacy Emanuel Breast Cancer Issues Conference for Health Care Professionals; March 11, 2011; Portland, OR.